The Weslo Cadence 340 CS treadmill is another one of those extremely cheap Weslo treadmills with very poor quality. So don’t expect this model to be useful for very long. If you really don’t want to spend much on your treadmill, then this is your answer. It would cost only around $400 but don’t expect too much from it and be sure to put aside some repair and replacement money for you’ll surely need it in the near future. However, if you want quality treadmills, then I suggest you buy a treadmill in the $1,500 price range. Visit our best buy treadmills page. You’ll get a 2.0 HP motor (not continuous duty) with this treadmill. It has a max speed of 8mph and has a 4-position incline. As you can see, this machine was not built for running. The 16” x 45” tread belt is good enough for walkers. But I don’t think most people would find it spacious enough for running. So if you want to run, this treadmill is not for you. The Step-by-Step™ Workout Console lets you keep track of calories/fat calories burned, speed, time and distance so you'll always know you progress. 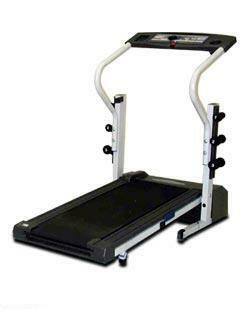 Unlike most entry level treadmills from Weslo, this model is not iFIT® compatible. Also, don't expect to do your heart rate workouts on this machine. It doesn’t feature any pulse grips. This treadmill has too many weaknesses for me write them here one by one here. But to summarize, expect it to have poor quality, features, and power. I don’t recommend the Weslo Cadence 340 CS treadmill. I believe that there are other entry level treadmills out there that would give you more value for your money. See our best buy treadmills section.